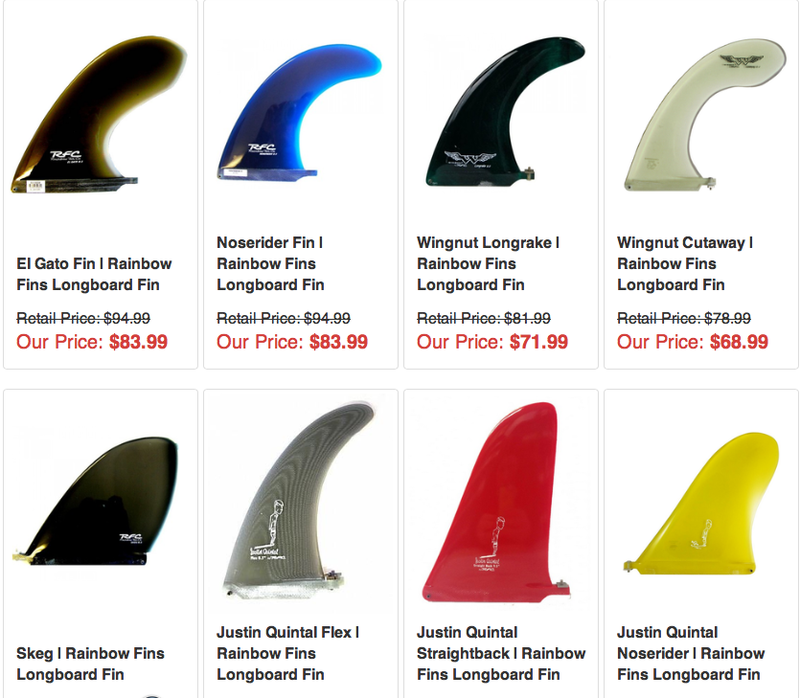 Check out our longboard fins made by Rainbow Fin Company. Rainbow was started back in 1968 in Santa Cruz, California, by a group of Santa Cruz surfers who were looking for fins to ride for their own boards and to sell to others in the surfing community. Since then, for over four decades and counting, and through the evolution of fin setups, designs and constructions, Rainbow has been relied on by surfers throughout the country and around the globe to provide them with the perfect fins for any conditions. Whether your go-to is a longboard or shortboard (or a SUP), a single, twin, thruster, quad, or five fin setup, or have FCS or Futures, Rainbow has you and your surfboards covered. The Justin Quintal Flex is Justin Quintal’s longboard fin for the more modern riders looking for maneuverability and pop. 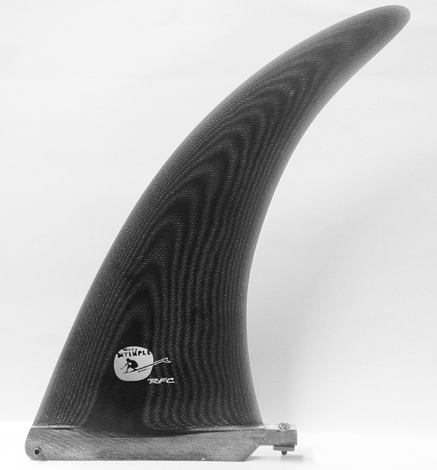 The design of the fiberglass fin is generally vertical with a narrowing out to the tip that has slightly less rake than the Mikey DeTemple Flex Fin. As its name suggests, the JQ Flex also has flex in the tip that means less hold and the ability to hit bottom turns and carves just that much more quickly, while not sacrificing speed to get you down the line. The Mikey DeTemple Flex longboard fin should be a part of your quiver! 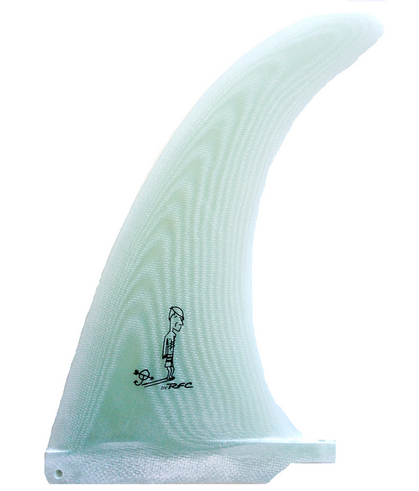 Works great as a single fin, this fiberglass fin is 10.5 inches long with a narrower tip than your typical longboard fin. Not much rake, vertical shape. As its name suggests, it also has a good amount of flex in it. 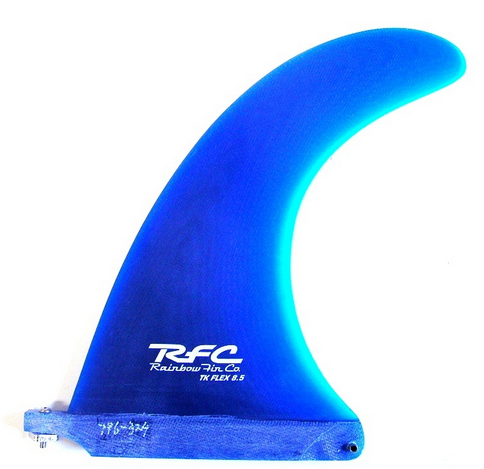 The combination of the thin tip and flex mean that this fin will give your board more maneuverability and looseness - excellent for quicker turns.